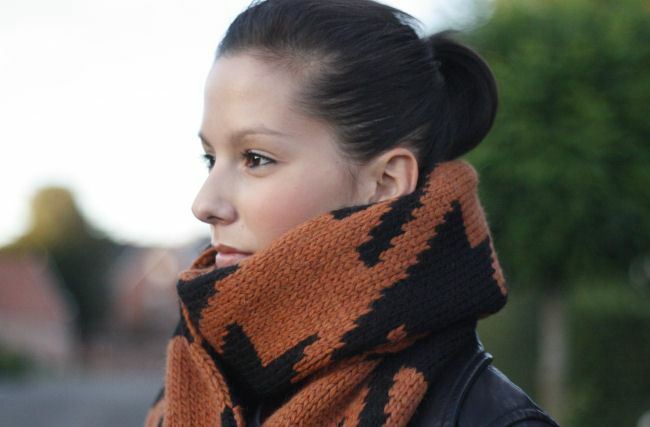 This one is forever... Every year, when autumn starts, I'm buying myself a new scarf. One that will last forever, from a good quality, and a color that will always be in style. Two years ago I got myself a Louis Vuitton in black, but since it has been worn off, I decided to get a new, special, one. This new scarf from Essentiel, made me think of the big LV scarves we saw last year at the fashion weeks, and immediately felt in love with it. I spotted it during the Sofie Valkiers for Essentiel event and together with my mohair cardigan and printed shirt, it received a little place in my closet! I'm ready for the colder days. How about you?